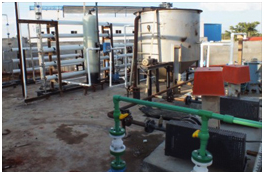 Sankalp Enterprises offers an exhaustive range of Industrial Effluent Treatment Plants that is highly efficient. The Industrial effluent treatment plant is designed to treat the effluent coming from different areas of the plant. The treatment of different effluents varies with the type of effluent. Industrial wastewater contains a diversity of impurities and therefore for this reason alone, its treatment constitutes a special task. Our expertise is advantageously employed for the technical and economic optimisation of every subsequent facility. We have successfully completed many number of Effluent Treatment Plants in Bangalore, and also in many city in south india. The treatment process may contain mechanical, biological and chemical physical process steps.